Cyber Monday Sale on all handmade mini journal & pencil sets. 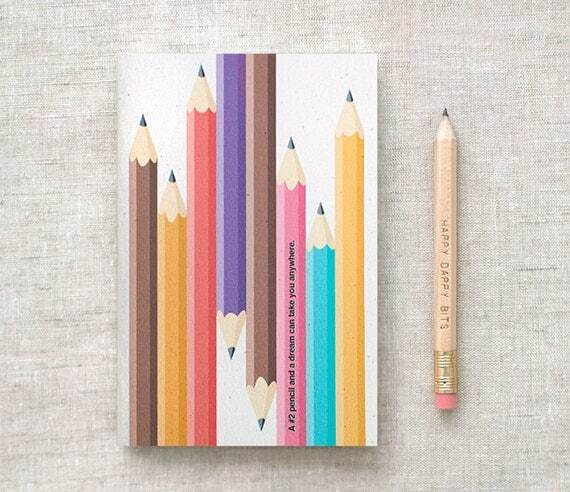 This pencil themed mini journal features the quote "A #2 pencil and a dream can take you anywhere." by Joyce A. Myers. Printed on wonderfully speckled and textured eco friendly cardstock, it's pocket sized to take on all kinds of adventures. Ready to gift for all occasions (stocking stuffers, too!) especially for the writer or doodler!